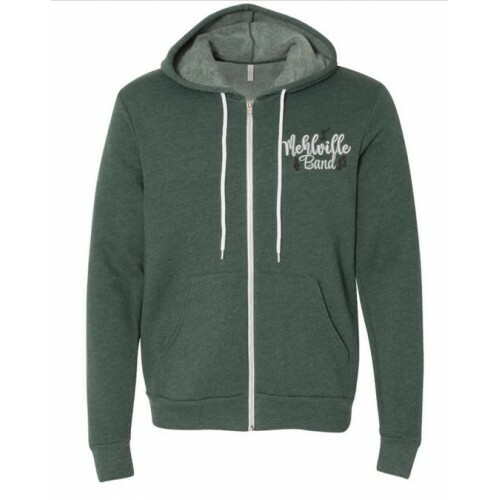 Mehlville Band Heather Forest Green Full Zip Hoodie. Show your panther band pride!! Want a jacket you can easily throw on or off, and still show your Mehlville Band Spirit? Logo will be embroidered on left chest with white and black thread. Remember, this is unisex sizing-not a tapered ladies fit.